BMW is still mulling a production version of the Superleggera Vision, shown. 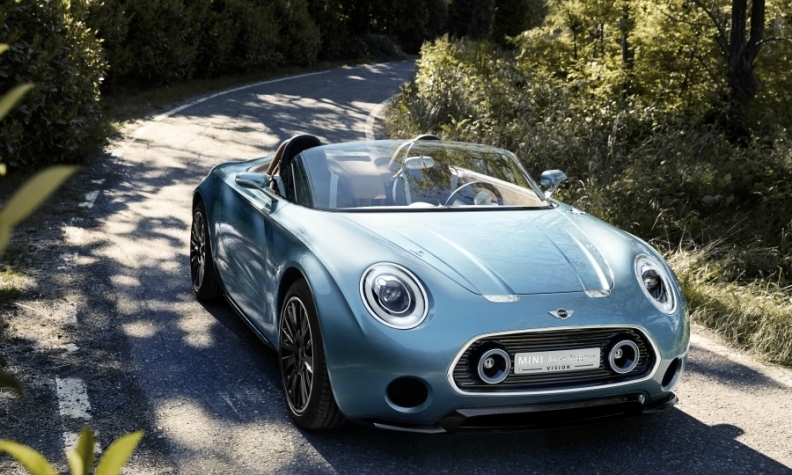 MUNICH -- BMW has not approved a roadster based on the Superleggera concept for its Mini brand and has not decided whether to add a “mini Mini” that would be built with Toyota, Mini’s top executive, Peter Schwarzenbauer, said. The UK’s Car magazine reported on Monday that a version of the Superleggera two-seat roadster would go into production in early 2018 to give the Mini brand a sporty boost. Germany’s AutoBild said in January that BMW and Toyota are discussing an entry-level car for Mini that would be called the Mini Minor. Schwarzenbauer said he is “still pushing” to get the production model approved. He has been a big fan of the Superleggera since its unveiling last May at the Villa d’Este concourse d’elegance near Como, Italy. Schwarzenbauer was speaking with reporters on Tuesday on the eve of BMW Group's 2014 financial results press conference here. He said Mini's 2015 sales would exceed the 303,030 sold last year, but the brand's volume will not keep growing by 20 percent as it has in the first two months of the year. “At the beginning of last year, we were phasing out the previous-generation Mini three door, so the first-quarter comparison is a bit misleading,” he said. The three-door Mini hatchback is outselling the recently introduced five-door Mini, Schwarzenbauer said. The order inflow is 60 percent for the three-door and 40 percent for the five-door. In the segment as a whole, five-door cars account for 70 percent to 80 percent of sales, he said.